I know, I know! Christmas is over. But I promised to review this book and it’s been a real treat to do it. My children and I listened to the audio version of A Boy Called Christmas (Affiliate Link) in the car and I think everyone enjoyed it. The narrator was fantastic! To be honest, the story itself was a tad strange(good strange) and my 15 year old son and I shared a few silly grins and raised eyebrows. Overall, it had a good message and was fun to listen to. It kept the attention of my four year old on up to my husband, so I think that speaks to its entertainment factor. This is the story of how Father Christmas aka Santa Claus came to be. Now, if you’re expecting a sweet, happy story like your average Disney Pixar movie, you’ll be surprised. Rather, the story sometimes carries a dark undertone and shows the courage of a boy as he overcomes great obstacles. As Nikolas journeys to the North Pole a wish emerges in his heart to change meanness into goodness. And as we follow him on his quest he figures out who he really is and what he’s destined to do – his true purpose. Isn’t that what we all hope for? Now if you don’t like myths, make-believe and Santa Claus then you won’t like this book! It’s filled with talk of elves, Father Christmas, trolls, magic and all things make-believe. For my family, we discuss that books like this aren’t true and just simply enjoy it. On the other hand, if you enjoy a unique writing style and surprising story then you will really enjoy this book. The style used in this book fits perfectly with the subject matter. It really feels like someone who lived the story is telling it. Now, I mentioned already that the book was a “tad strange”. This may have been an understatement. It’s difficult to describe, but this story will make you wonder if you just heard right. It’s shockingly funny and interesting. 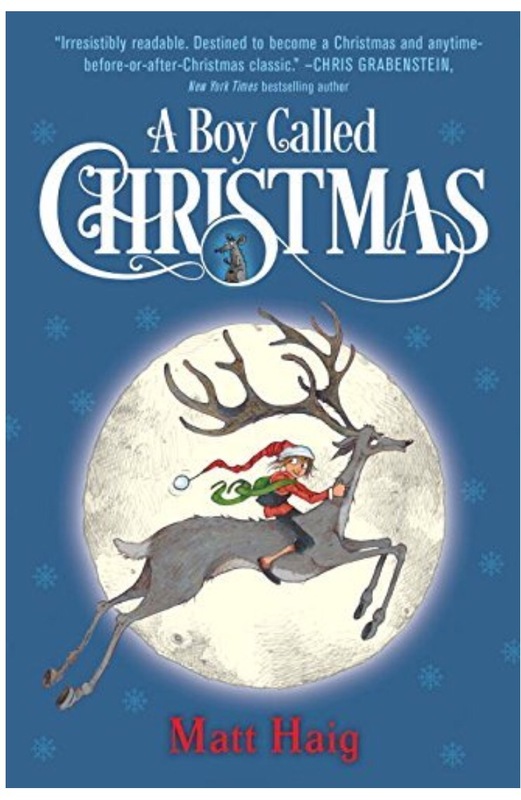 A Boy Called Christmas is the perfect book to read around the holidays and we’ll definitely be listening to it again next Christmas. Grab your copy! I received this book from Blogging for Books in exchange for this honest review. Don’t forget to Follow this blog to receive all my Encouragement, Enrichment and Recipes and Share it with your friends. Pin this article to find it next Christmas. Like me on Facebook at Rural Space Learning. This entry was posted in Book Reviews and tagged book review, christmas, homeschool, Homeschooling. Bookmark the permalink.